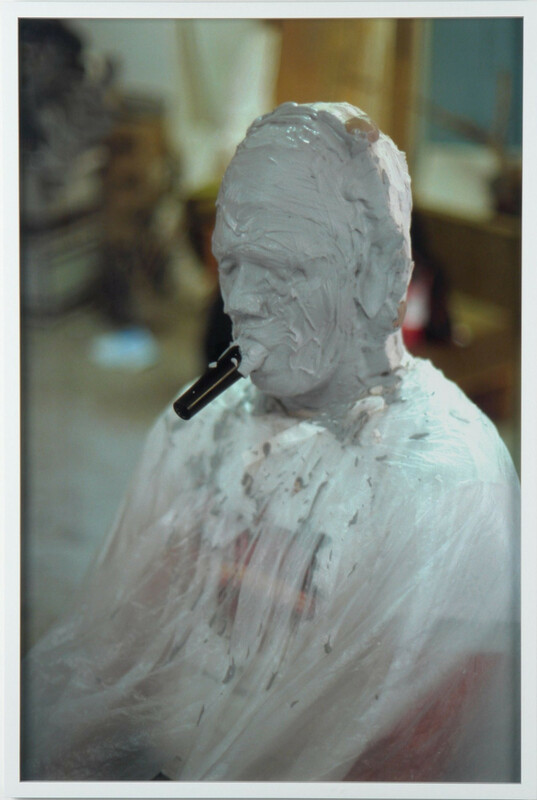 We are pleased to announce the opening of Michael Sailstorfer’s first solo exhibition at KÖNIG GALERIE. 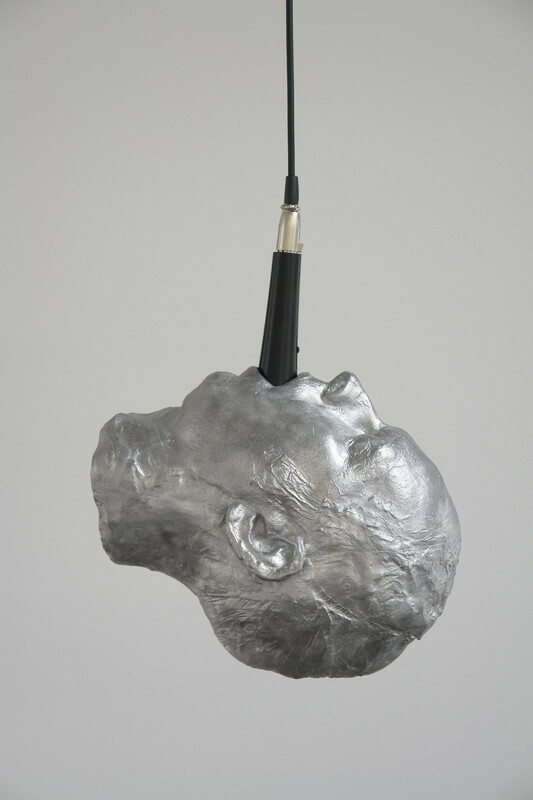 Michael Sailstorfer, born in 1979 in the Bavarian town of Velden, studied in Munich and London, He has participated in many exhibitions internationally, such as Manifesta in San Sebastian or the Yokohama Triennial. The Ursula Blickle Stiftung dedicated an individual exhibition to his work in 2005, and currently his work is being shown at Kontracom in Salzburg, curated by Max Hollein. 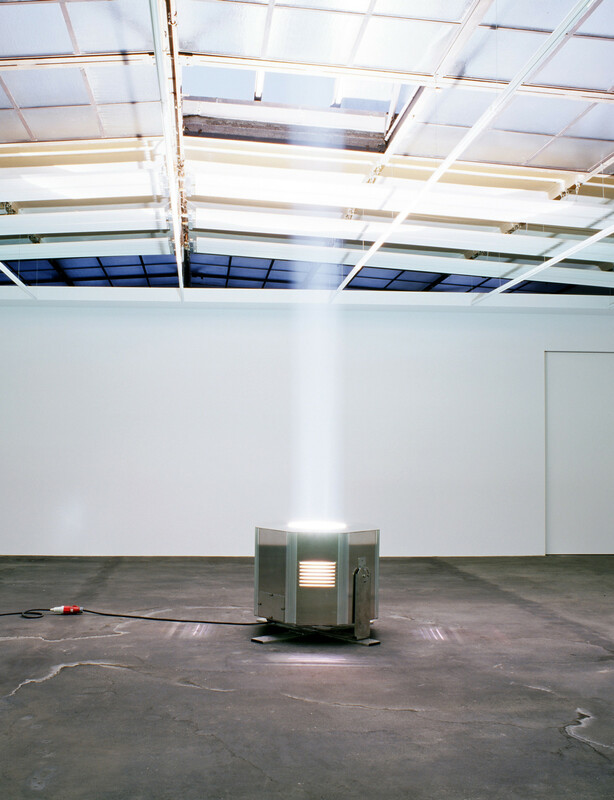 The focus of the exhibition at Johann König is the work Unendliche Säule’[Endless Column] (2006), consisting of a high-power search light. At night, when the gallery space is not accessible, a column of light streams through the ceiling of the gallery, seemingly endlessly stretching towards the heavens. This nocturnal manifestation of the sculpture, which in a way rests on the light apparatus as a kind of plinth, gives a good sense of the focus of Sailstorfer’s work. Transformation and dematerialization are recurrent emphases of his way of working. Everyday objects are completely transformed into suggestive sculptures (a building becomes a sofa, a police car a drum, or a street lamp becomes a falling star). Both aspects are combined in the work Zeit ist keine Autobahn [Time Is Not a Highway]. 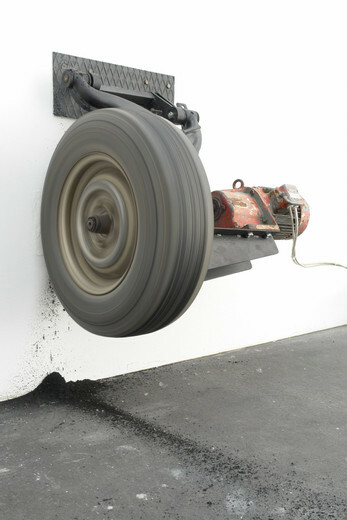 A tire, driven by a motor, wears itself away as it spins against a wall, leaving a strong smell and a black powder. The ultimate destruction of the tire is predictable, but the time this process requires is not. 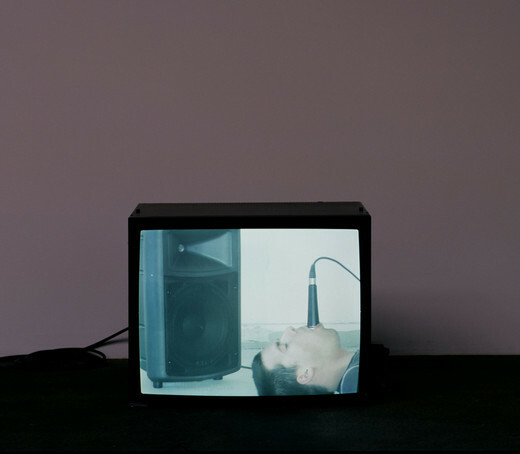 The motif of uncertain duration again becomes clear in the third work presented in the larger exhibition space, the video Mikrophon im Mund [A Microphone in My Mouth]. Here, the artist himself can be seen holding a microphone clearly linked to a loudspeaker. The feedback resulting from the proximity of recording device and playback could go on endlessly. 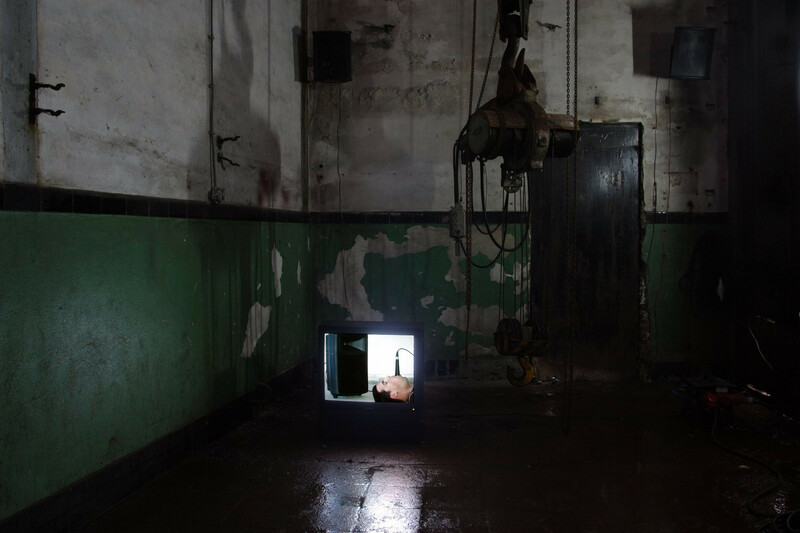 If earlier works like Waldputz or 3ster mit Ausblick were reminiscent of the performative method of Gordon Matta Clark, Bruce Naumann’s exploration of space and the body or Fischli-Weiss’ ironic seeming arrangements and titles are now important points of reference. In choosing titles for his works, Sailstorfer often emphasizes their significance for the perception and interpretation of sculptures. 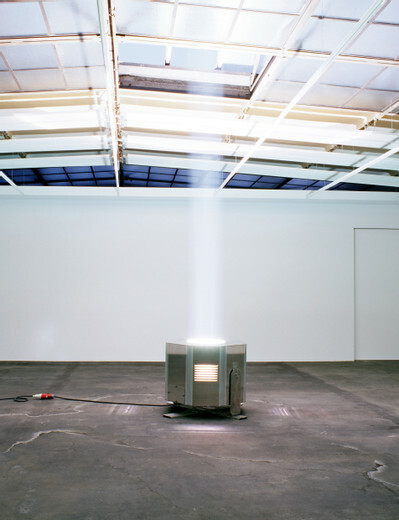 It is thus striking that the linguistic element in this exhibition is complemented by further immaterial elements: odor, sound, and the nocturnal column of light. We like to thank the company A&O lighting, Bremen for preparing a special design for the sky beamer of the sculpture Unendliche Säule’[Endless Column] (2006). *in cooperation with Jürgen Heinert.